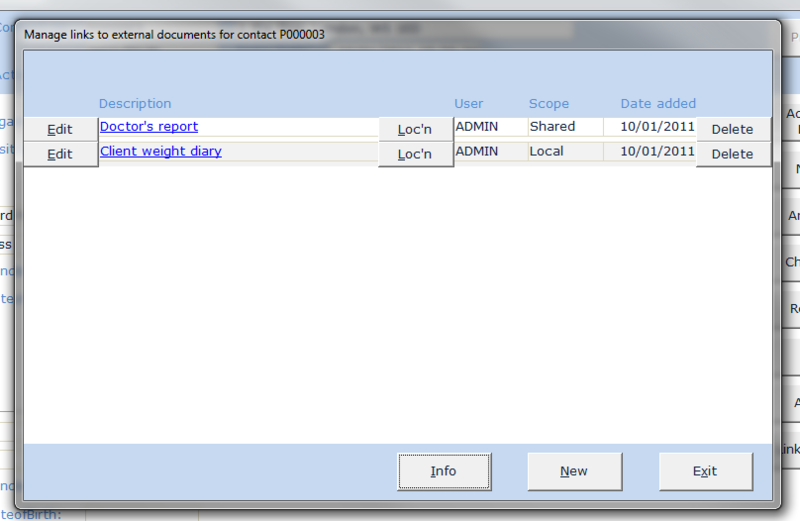 Ariel can record links to documents relating to your contact held in your document archive. This allows for easy retrieval of documents. Links to documents held on a network can be kept private or shared with other Ariel operators.